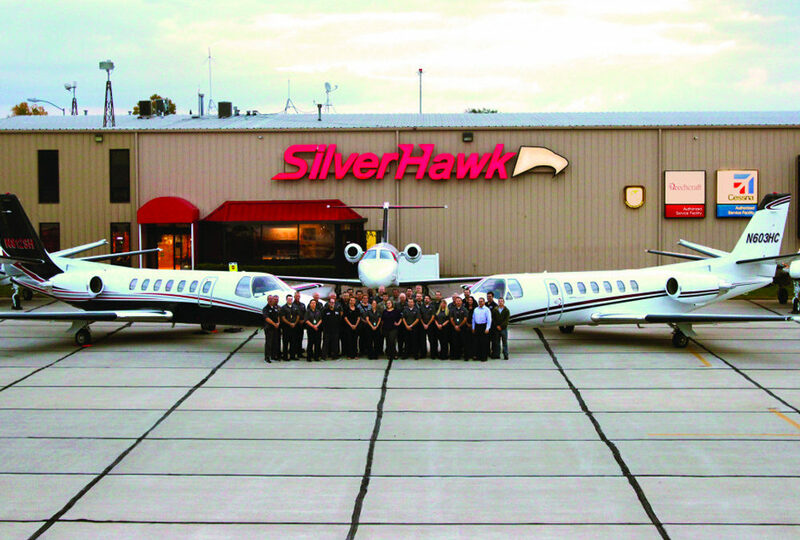 This November marks the 25th anniversary for Silverhawk Aviation, and it’s amazing to see how things have grown over the years. In that time, we’ve gone from a single airplane operating out of Seward, Nebraska, to the 10 Citations and King Airs that are currently on our charter certificate, with plans to add several more in the near future. Our maintenance staff has also nearly doubled over the last year with plans to more than double our available hangar space in the next year. Our line and front desk staff have also grown substantially in order to accommodate the needs of our customers, and there will be visible changes in how they operate soon to make sure we’re able to provide the best customer service in the region. All of these things are possible because of the tremendous foundation that’s been built at Silverhawk over the last 25 years. This foundation has been built from hiring the best hearted people, partnering with vendors and businesses who share our values and our passion, and serving customers that we’re proud not only to be associated with, but people that we are honored to now call friends. Silverhawk has a bright future, and as we look to that future our goal will stay the same as it’s always been – to serve our community with a humble heart and to provide the best service that we can offer.